To me, best version because it shows the lyrics; to me those lyrics are about coping with emotional pain and life in general with music and mood alterers, sung it to myself for half my life. Another Lyrics vid. . Plz comment and rate. I do not own this video in any way, all credit goes to Steely Dan. I'm 20 years old and first discovered Steely Dan back when I was 14! Favorite group ever since then! Donald Fagen is a master in the studio. I find I like to listen to he and Becker's music on a good set of earphones or buds to catch all the little percussion sounds filling the background. When Fagen finishes a tune there is no more room for sound left ! I think Donald Fagen is a genius, musically, i mean. He just fell into time and place, where didn't get credit. Absolutely the best. Love Steely Dan. So funny how Music holds memories you never forget! I recall being given this cassette from a Counselor at summer camp. I had a Panasonic cassette player, (equal to a smart- phone today). I recall playing this song over & over until I was told to loose the cassette player! They really dnt write songs like this anymore! My all time fav Steely Dan song...wow, what memories, for I remember when won the Grammy for album of the year for "Asia". (Which this song is from). Wow, I am getting old! Wow....before making statements about song meanings, people should do some reading! This song has nothing to do with the Wake Forest Demon Deacons. It's about a suburban man in a bit of a midlife crisis. As Walter Fagen, the song's co-writer, said, think of a guy who is 31 and still living with his mom, and he decides it is once again time to get out there and pursue his dreams. Fagen said he and Walter Becker, the other co-writer, were making a comparison between winners and losers, and if the Alabama Crimson Tide were winners, a loser was someone who was blue (crimson vs blue). 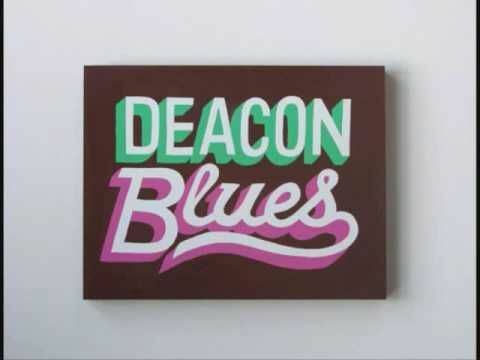 They used "deacon" because Deacon Jones was in the newspapers there in LA as a member of the Rams, and his name conveniently had two syllables (dea-con vs crim-son). Read "A Nation of a Song," by Marc Myers. Page 252. Pretty easy to show that this song is a classic: Seven and a half minutes long and it's still too short.